Pack your bags for Baltimore or Jacksonville: Asheville Regional Airport launches direct flights to those two cities in May. The airport, Western North Carolina’s largest, has seen ever-increasing demand in recent years, with a record number of passengers in 2015. Nearly 400,000 people flew out of the airport, and a similar number deplaned there, for an overall four-percent increase over the number of fliers the previous year. 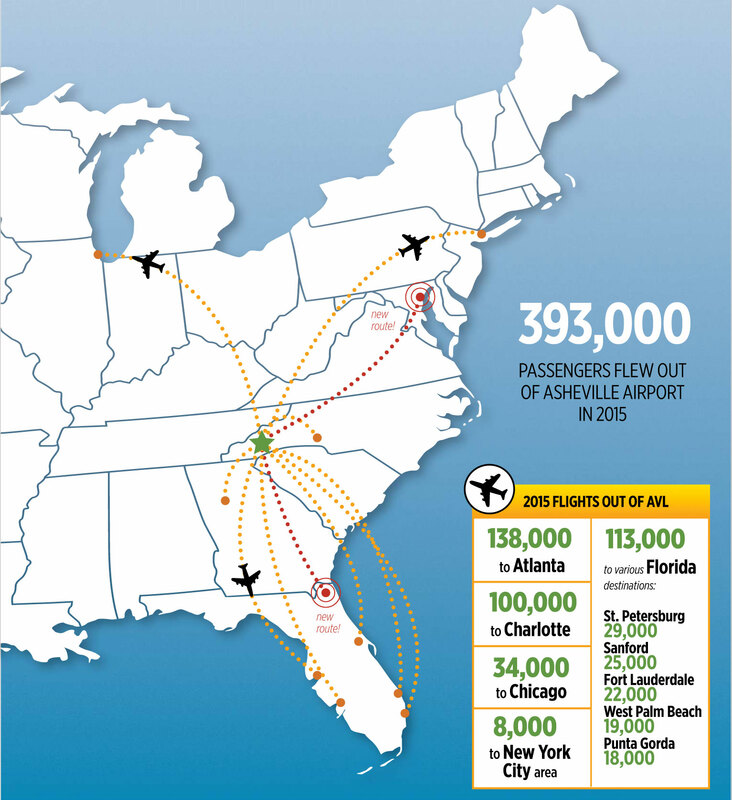 The airport already provides daily flights to three major hubs—Atlanta, Charlotte, and Chicago—“which opens global opportunities, so you really can go almost anywhere you want to go from Asheville,” notes Tina Kinsey, the airport’s marketing director. It also offers seasonal service to the New York City area and regular nonstop flights to five destinations in Florida. With the addition of Baltimore and Jacksonville, the airport is preparing for yet another uptick in travelers.